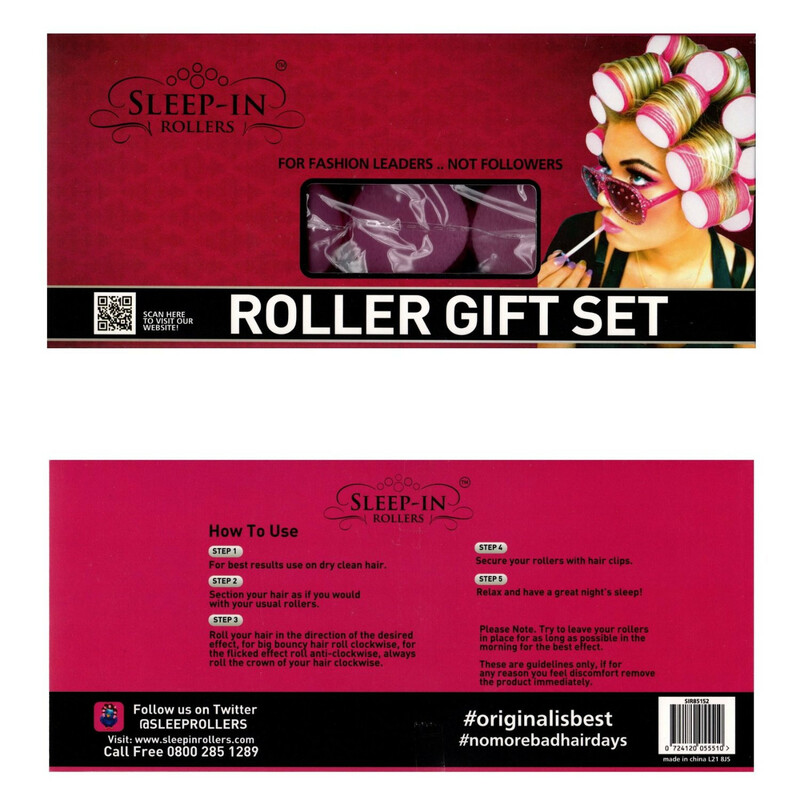 Includes 2 x 10 Packs of Pink Sleep-In Rollers & Classic Pink Drawstring Bag Velcro pouch with kirby grips Sleep-In Rollers are the original revolutionary rollers for a low maintenance way to achieve big tresses at home. These professional velcro rollers are the must-have cling rollers that you can sleep in to create great styles with ease. Designed with a sponge inner that will flatten when you lay down, the rollers allow you to sleep more comfortably and wake with bouncy curls! These Sleep-In Rollers are designed to produce large, loose curls without the use of heat. They do not require the use of pins or clips as the velcro holds the hair and roller in place. Sleep-In Rollers are the celebrities' only choice of roller!